Submit Challenge Ideas, Donate Blanks! Congratulations, lumiscious! The header seen here (as well as the community userpic default icon) and the header image found in the profile of this community was made by lumiscious! I'm so very, very sorry about the lack of updates/news/results being posted here. I've gotten busy with other things, but that is no excuse. Here are the results for Challenge #200. Again, I apologize. I'm officially putting this community on HIATUS until I can get word from ginny_lv_harry about what we should do here exactly. I'm extending this challenge until Sunday, April 29th. I just have to get a few things straightened up. This will give me time. Plus, there needs to be more icons for it to be any fun. So come on, gang! Get those icons in! 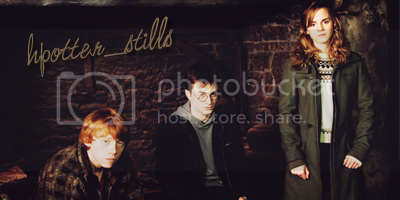 Also, don't forget to check out hpotter_stills! Click the banner to go to the current challenge! There is still two hours until the challenge closes! get those entries in HERE! Actually, I won't be putting up the voting until tomorrow morning so have a few more hours! (x) don't forget challenge #200! theme: OUTSIDE. any image of Hermione Granger outside will work for this challenge. [x] Make up to 3 icons for each the base section and theme challenge, for a total of up to 6 icons. [x] You may only use each base once. [x] For the themed challenge, only images of HERMIONE are allowed. No Emma. [x] No restrictions on brushes/textures... etc. [x] Icons must follow rules set out in the userinfo. [x] Don't forget to include a URL with your entries. [x] Icons must remain anonymous until results are posted. [x] Your icons are due by Sunday, April 29th by 10:00 pm central time! So sorry for the delay, folks! I'm finally back and can pitch in here again. So here is the voting for Challenge #199! Challenge #200 is on the way right after!